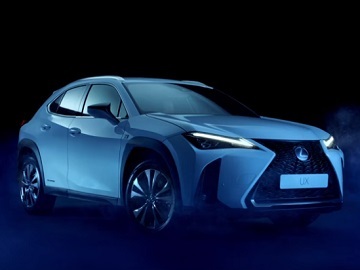 Lexus has released a new ad, showcasing the new Lexus UX, which features intelligent aerodynamic innovations. “There’s no point resisting a powerful opponent. You must instead use its own strenght against it. Lexus has applied this principle to the new UX. With aerodynamic innovations in the structure of its rear light and wheel arches which harness the airflow for intelligent design, allowing the car to stabilise itself and provide enhanced driving dynamics,” the voiceover says on the 40-second spot, which features two martial arts fighters facing each other. At the end of the commercial, the onscreen line “New Horizons” appears, as well as the brand’s tagline, “Experience Amazing”. The first-ever Lexus UX crossover, which – according to the automaker – “juxtaposes bold urban design with unmistakeable strentgh,” features a dramatic signature grille, a sporty silhouette and bold rear design, an interior “with a design based on the Japanese architectural concept of ‘engawa’ where the boundaries between inside and outside are seamlessly connected, and improved safety, the new Lexus Safety System + offering a comprehensive preventative package, which includes detection of pedestrians and cyclists. The Lexus UX, offered as a more powerful hybrid model with electronic all-wheel drive, and more aggressive F SPORT versions of both, arrives December 2018.